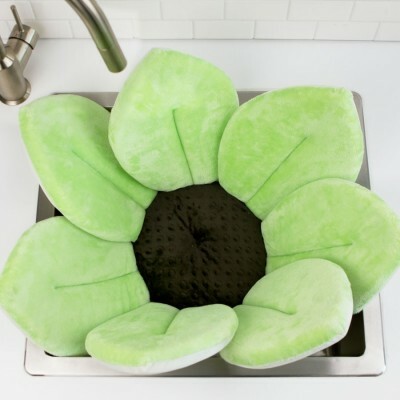 Handmade from incredibly soft, cuddly materials, Blooming Bath's petals hug any sink to create an adorable, safe, fun and convenient bath time experience for your most precious possession. Blooming Bath’s plush materials cradle and cushion your baby like no other baby sink bath or tub can. 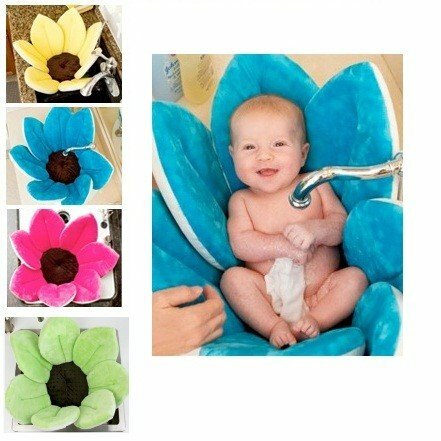 Blooming Bath Petals Baby Bath..
Blooming Bath Mini Bloom Scrubbie.. Handmade from incredibly soft, cuddly materials, Blooming Bath's petals hug any sink to create an adorable, safe, fun and convenient bath time experience for your most precious possession. 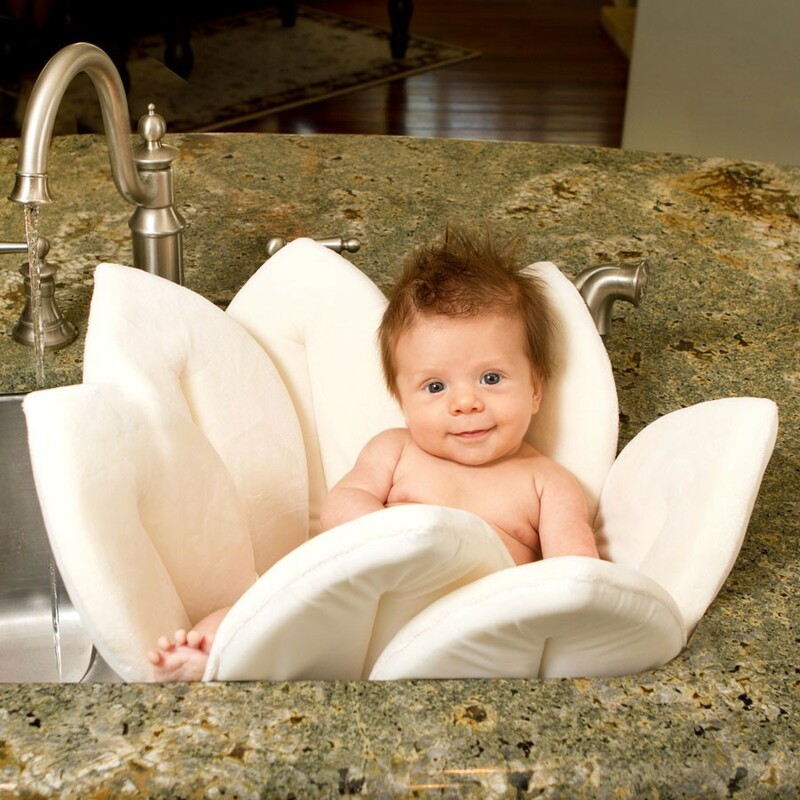 Blooming Bath’s plush materials cradle and cushion your baby like no other baby sink bath or tub can. Forget about those hard plastic baby bath tubs or baby bath seats that are uncomfortable and don't cradle your child during bath time. 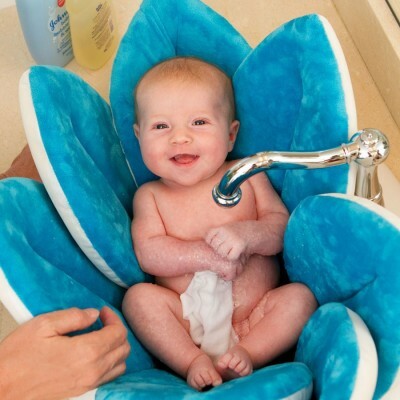 It’s a unique, easy, hassle-free experience that allows you to enjoy those special moments bathing your infant. 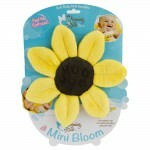 Using and caring for Blooming Bath couldn’t be easier. 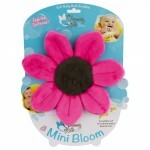 Push it into your sink and it creates the perfect cushioned cradle to wash your baby. 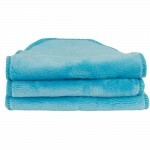 When you're finished, gently squeeze out the excess water and throw it in the dryer for 10 to 15 minutes. Or, if you prefer, just use the hang tag on the back — your Blooming Bath will be dry in no time. 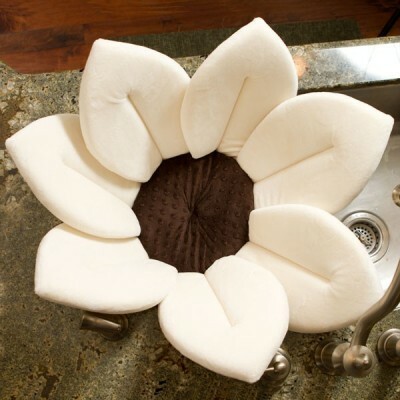 The product has not yet been used but looks sturdy and better than typical baby baths. Recommend to all new moms. The quality of product is high and I purchased this one for my sister who is currently pregnant with my niece! I have not used this yet but it's adorable and I can't wait to see our baby girl in it! Future moms I highly recommend this product. 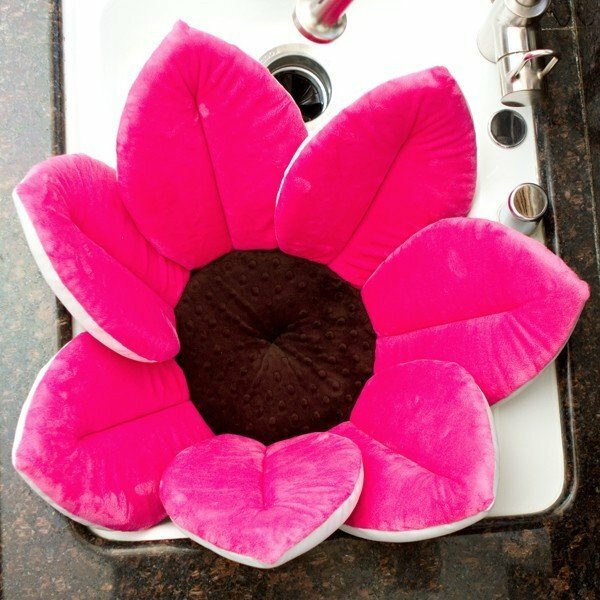 I purchased the blooming baby bath for our daughter, due to arrive in a couple weeks. I have not used it as of yet, but the reviews for it were great. The Baby's Den offered the best price. Purchase was hassle free and shipping was fast. 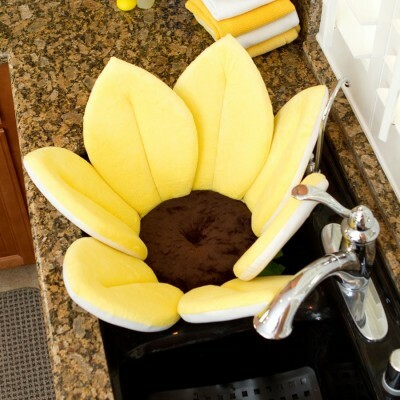 I purchased the Blooming Bath in yellow as a gift for a friend. 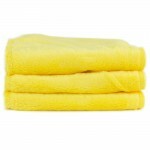 The product has not yet been used but looks sturdy and better than typical baby baths. I am happy with my purchase! I struggled bathing my 1st child so when I saw the blooming baby bath I thought I might try it. It is PERECT it made bathing newborn #2 so easy, he enjoyed it and so did I! I love my Blooming baby bath. I use it to take pictures of my little guy on. As well as a baby bath. 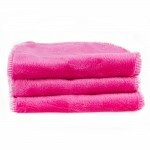 It drys fast and is very easy to wash.
Looks great - so soft and comfortable! So excited to use it! The best baby bath ever! I bought this at the store based on the employees recommendation over the Boon Naked bathtub and I am glad I did! 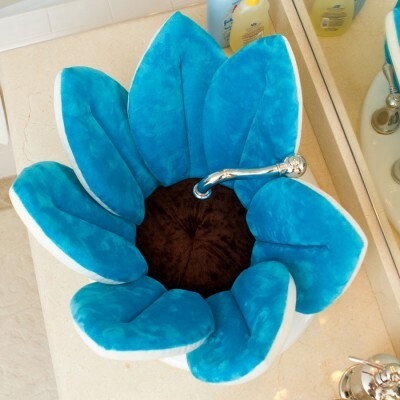 Besides for the Blooming Bath being beautiful, it is so easy to use and clean. More importantly, it is super comfy and my baby really enjoys the bath. To top it off, since it is a sink bath, I don't have to worry about breaking my bath over trying to clean him in a full tub. I am loving this product!